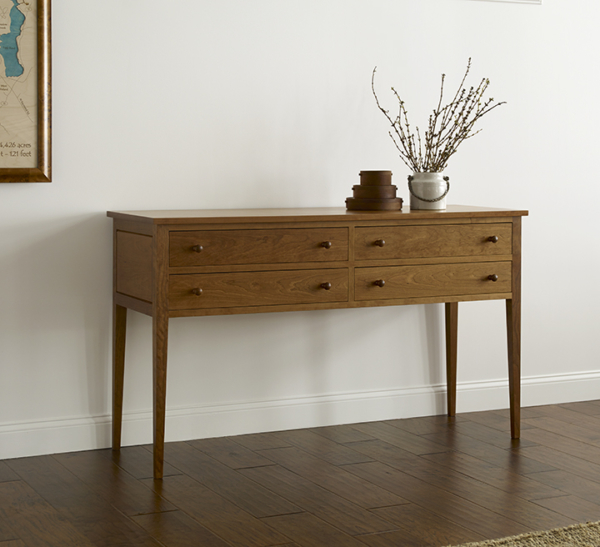 Shaker furniture served its purpose quietly, and our Huntboard does the same. Designed for easy access, the cabinet is elevated on four tapered legs that form all four corners, securely joined for durability. 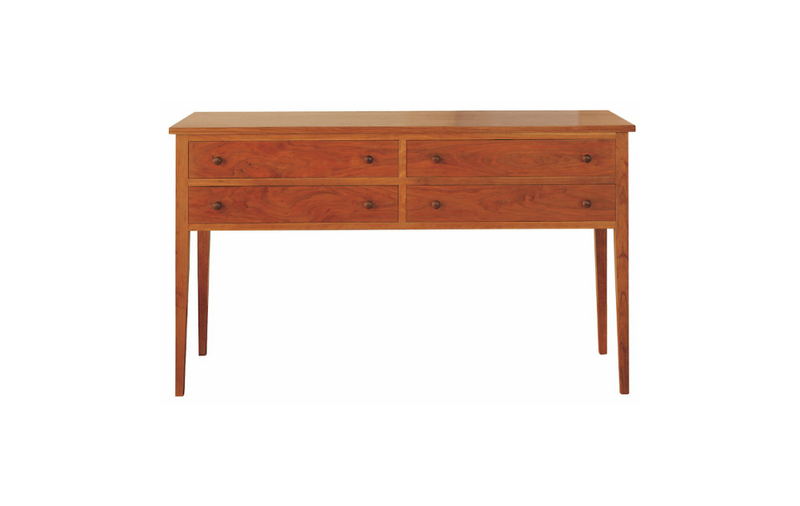 Each element of the sideboard is made of hand-finished North American hardwood, with front, side and top surfaces finished to reveal its dense grain structure. The Huntboard is made of North American hardwood, and is hand-finished to reveal the character of its dense, sophisticated grain. Like the legs, the cabinet is joined in traditional methods, and employing only what is necessary to contain its four drawers. The drawers move on our signature polished hardwood slides, accessed via a pair of wooden handles. They slide with ease and form a snug fit, yet won’t bind regardless of seasonal weather and temperature fluctuations. They provide an abundance of space for storage of linens, silverware and other dining necessities. Crafted of matched-grain hardwood, the tabletop extends beyond the boundaries of the space, adding dimension to its otherwise austere form. 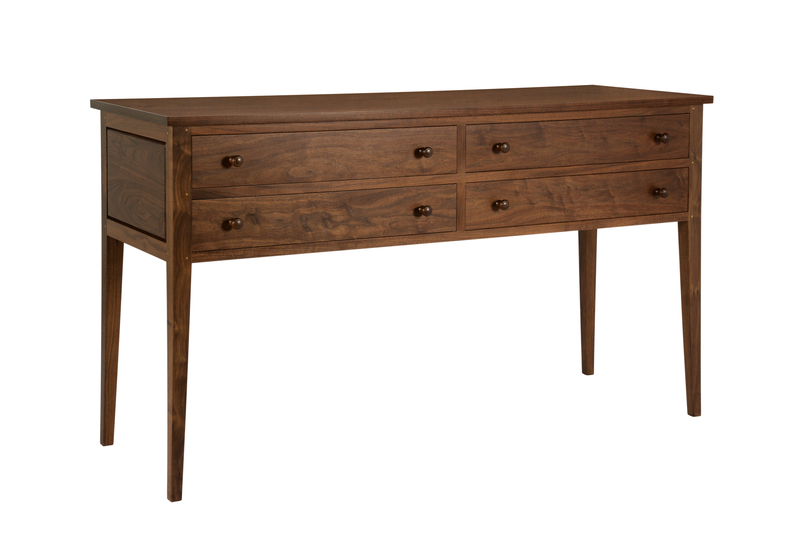 Its hand finish is durable, and allows a clear view of the intricacies of the wood. The Huntboard will fit with most any dining area décor. Its simplicity is its power, and it inevitably captures attention – and will do so for generations.